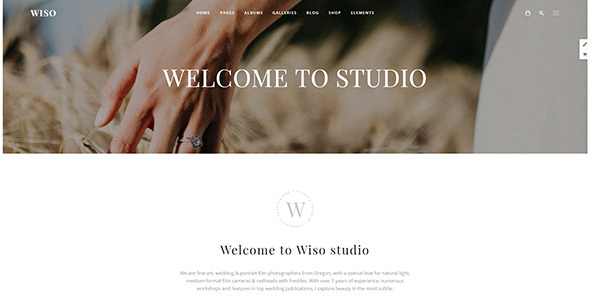 WISO is a gorgeous and creative theme for professional photographers. It includes albums, portfolios, galleries, events, fullscreens, proofing, blogs for photographers to create a unique website. 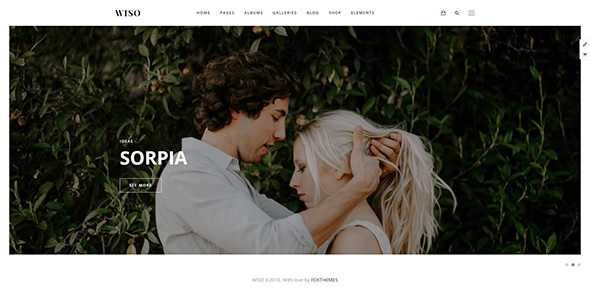 The theme is not limited to just photographers and could easily be adapted to suit a wide range of applications such as creative agencies, weddings, fashion sites, art blogs. 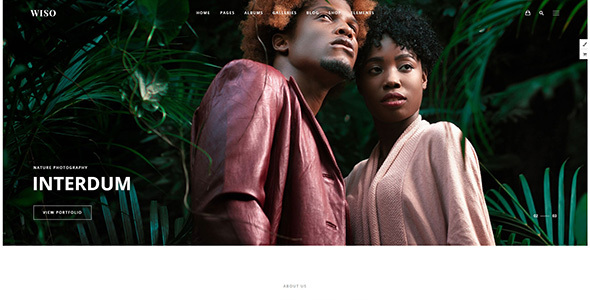 WISO is fully responsive and designed with high end photography in mind so naturally it is an ideal theme for mobile friendly websites and applications, every single feature and page element will look amazing on the screens of tablets and mobile phones. It includes amazing page templates and professionally designed layouts created specifically to be the most responsive visual environment on the market today. We made the theme compatible with such premium plugins as Appointment booking plugin, Contact form 7, Google Maps, WP Bakery Page-Builder drag and drop page builder tool, Grid, Modern Event Calendar. 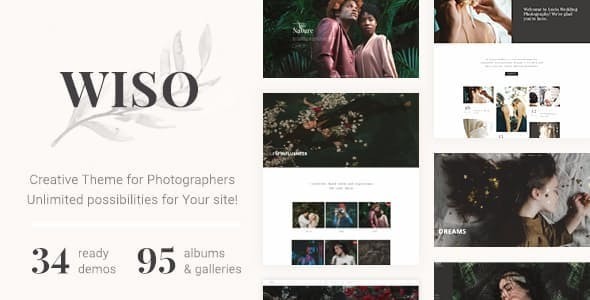 The WordPress WooCommerce extension has been professionally integrated to provide you with a simple experience for uploading and selling your photography! Most powerful and easy to use events management system. MEC allows you to create not only the usual events, but also constantly repeated and endless tasks. This plugin is compatible with the most important services on Google – Google Calendar and Google Map. You will be able to use all the features of Google Calendar and Google Map – assign events, mark them on the map and set reminders. 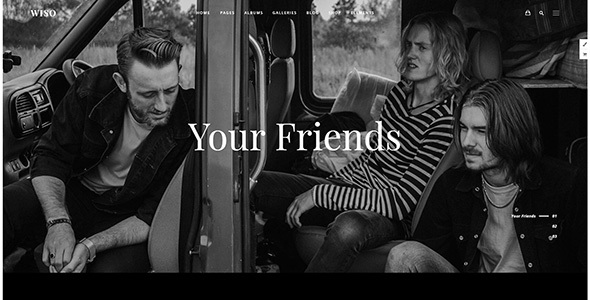 WISO is 100% WooCommerce compatible and includes full design integration that looks amazing. With WISO theme you can easily create a highly professional and fully functional online shop. 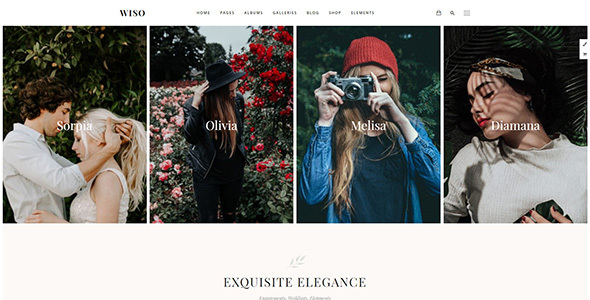 WISO theme is fully responsive. No matter what device your visitors are using to access your site, the layout will fluidly respond to the screen size to ensure they can still read, browse, shop, download, and interact with your website in every other way.